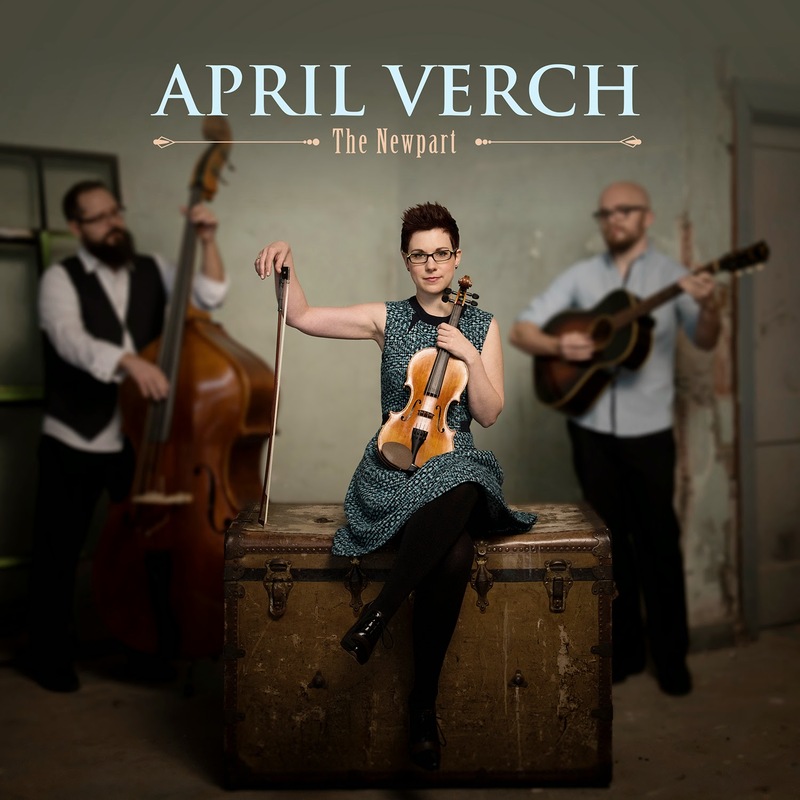 April Verch, the only woman to have won the Canadian Open Old Time Fiddle Championship and the Canadian Grand Masters Fiddling Competition, will be coming across the Atlantic in May - but more of that later. 'The Newpart', April's tenth album (produced by Casey Driessen) will be released by Slab Town Records on the 20th April. April's name is equally likely to appear on the lineup of a Bluegrass, Folk or Celtic festival and 'The Newpart' demonstrates why she has such a wide appeal. Anyone familiar with April will know that dancing features significantly in her performances and 'The Newpart' is no exception; listening the the album, when the track 'Gilchrist' began I scribbled 'musical feet' only to later find that April described 'Gilchrist' as "a tune for feet". 'Gilchrist' is named after Donnie Gilchrist who taught April's stepdancing teacher, Buster Brown. As might be expected, there are traditional tunes (such as Belle Election, Polska From Kumla & Dry Bones), tunes and songs written by April (sometimes with Cody Walters) but also songs which evoked and earlier age. Again, referring to notes, I wrote about some songs that 'could be from a bygone age' and 'not out of place in a black & white era romantic film' to subsequently find that these songs were discovered in recordings from the 1920's and 30's from artists such as Nick Lucas, Seger Ellis and Lew Childre yet beautifully interpreted by April, guitarist Hayes Griffin and banjo/bassist Cody Walters. Did I mention that there is a John Hartford song too? April will be perfoming concerts (mostly) in Ireland throughout May with two dates in England (Derby & Bury) but will be returning to the UK in November for further dates.